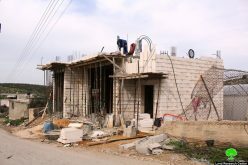 The military orders mentioned that the wells lack building permits and compelled a halt on construction works in addition to the demolition of what has been built in a seven day deadline from the order’s date of issuance. 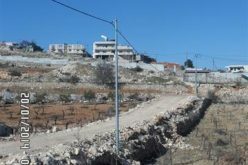 If not compelled to the order, the Israeli occupation authorities will carry out the demolition operation where all expenses will be billed to the owners. According to the Masafer Yatta Cooperative, help was sought through St. Yves association to object to the orders. 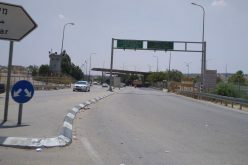 The Israeli occupation authorities claimed notifying the structures of stop-work orders on January 12, 2015 and granted the affected a chance to stand before the Inspection Sub-Committee to object to the orders. 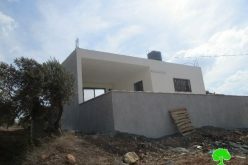 The committee was convinced that the wells lack proper building permits. Thus, demolition took place. Masafer Yatta Cooperative: the cooperative established this well (120m3) in 2011 to provide drinking water for around 200 sheep. 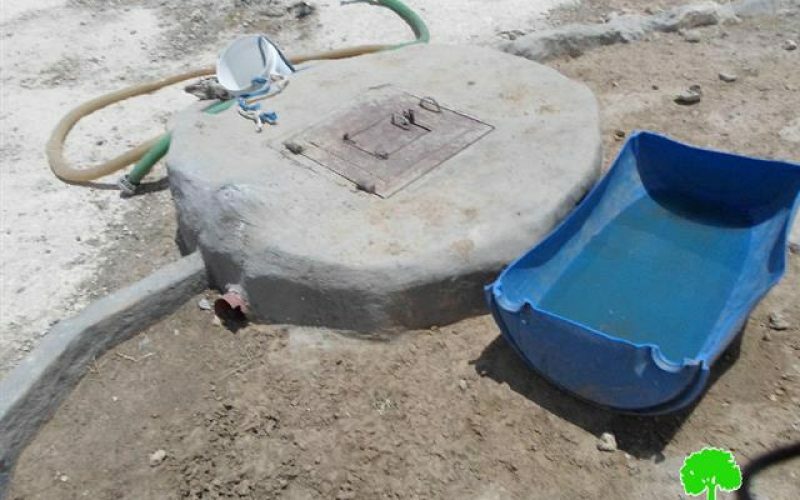 Citizen Mohamad Salamih Mohammad: the citizen built the well (120m3) in 2011. Noteworthy, two families (20 members) seasonally live by the well; the families have a herd of 350 sheep and 3 cows that drink from the aforementioned well. It should be marked that the hamlet of Um Sarara is located next to AL-Fakheet hamlet, which is part of the area known as Masafer Yatta. 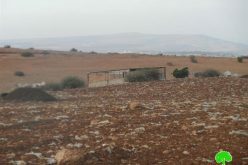 Al-Fakheet was transformed into a natural reserve after fencing around 950 dunums belonging to families from the area namely (Mohammad, Abu Iram and Makhamrih). 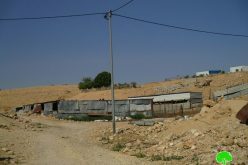 The reserve accommodates 8 water wells that have been targeted by the occupation under the claim of “unlicensed construction”. 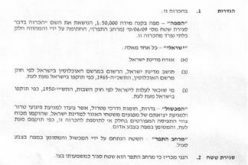 Stop work orders on four residences in Arab Az-Zayid Bedouin community- An Nuwei’ma / Jericho.